Tom Brady suspension nullified: NFL loses in court in judge's order. 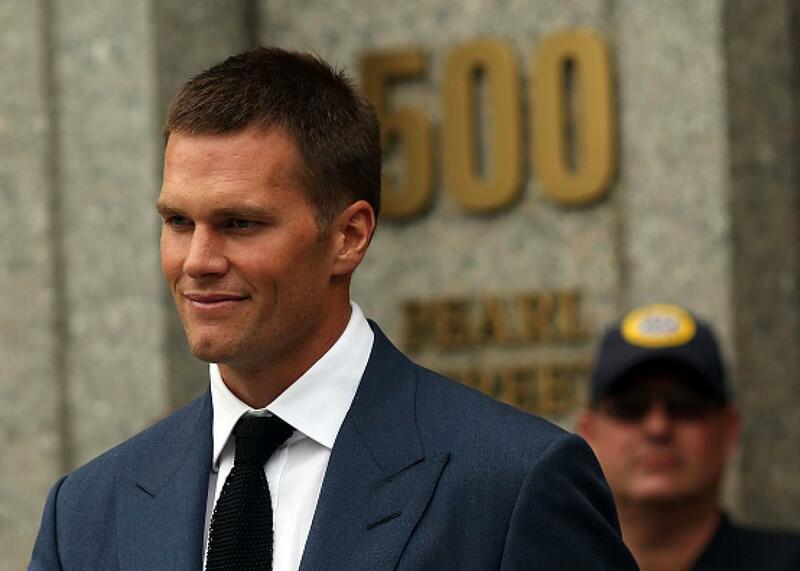 Tom Brady leaving federal court in Manhattan on Aug. 31, 2015. The Award is premised upon several significant legal deficiencies, including (A) inadequate notice to Brady of both his potential discipline (four-game suspension) and his alleged misconduct; (B) denial of the opportunity for Brady to examine one of two lead investigators, namely NFL Executive Vice President and General Counsel Jeff Pash; and (C) denial of equal access to investigative files, including witness interview notes. Wrote Berman regarding item A: “The Court finds that Brady had no notice that he could receive a four-game suspension for general awareness of ball deflation by others or participation in any scheme to deflate footballs, and non-cooperation with the ensuing Investigation.” Items B and C in the paragraph above refer to decisions that Goodell made while hearing Brady’s appeal before upholding the suspension in July. Though Berman’s ruling did not address the merits of the NFL’s claims about Brady, it does question whether the league’s investigation of him was actually “independent,” repeatedly putting the word in scare quotes. (As mentioned, an NFL VP supervised the investigation, and a lawyer from investigator Ted Wells’ firm asked questions on the NFL’s behalf during Brady’s appeal hearing.) There has never been direct evidence that Brady knew about or managed the alleged scheme to break rules by deflating balls; the NFL’s assertion that ball deflation occurred in the first place is based on generally flimsy evidence including measurements taken but not written down before the game by an NFL official. As ESPN’s Trey Wingo writes, this is the NFL’s fourth high-profile legal defeat in recent cases related to player discipline: Judges or arbitrators also overturned penalties imposed by commissioner Goodell against Adrian Peterson, Ray Rice, and New Orleans Saints players involved in the “Bountygate” scandal. The NFL season begins Thursday, Sept. 10 with a game between the Pittsburgh Steelers and … the New England Patriots.